A slowdown in Windows XP upgrades and the wait for Windows 10 sent worldwide PC shipments tumbling to a six-year low in the first quarter this year, according to IDC. Worldwide PC shipments totaled 68.5 million units during the first quarter, declining by 6.7 percent compared with the same quarter the previous year, IDC said Thursday. That is the lowest volume of first-quarter PC shipments since 2009, IDC said. The PC shipments showed signs of stabilizing in the second half of last year as businesses replaced old Windows XP PCs with new Windows 7 systems. With pent-up demand to replace old PCs, Windows 10 could have a positive impact on PC shipments, said Rajani Singh, senior research analyst at IDC. Windows 10 was designed to combine the strengths of Windows 7 and Windows 8.1, which has been a disappointment. Windows 10 will be a free upgrade to Windows 8.1, Windows 8 and Windows 7 users for the first year. Microsoft hasn't shared the release date for Windows 10, but PC makers have hinted that tablets and laptops with the new OS will ship around September or October, or perhaps even earlier. 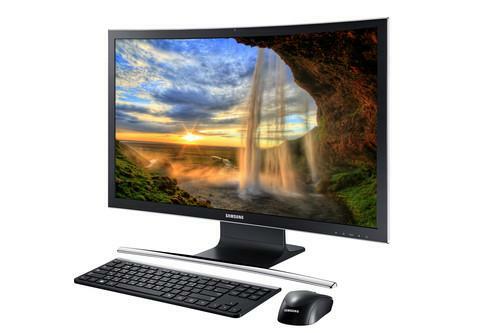 In a separate survey, Gartner said that first-quarter worldwide PC shipments declined 5.2 percent year over year. A slowdown in XP upgrades, particularly desktops, hurt shipments, said Mikako Kitagawa, principal analyst at Gartner, in an interview. Gartner is projecting a single-digit percentage decline in PC shipments this year, but single-digit percentage growth next year. According to IDC, Lenovo retained the top spot as the world's largest PC vendor with 13.39 million units shipped, up 3.4 percent. The Chinese company held a 19.6 percent market share. In second place was Hewlett-Packard, whose shipments grew 3.3 percent to 12.99 million units, good for a 19 percent market share. Dell and Acer were in third and fourth places, respectively, and shipments for both companies declined. Dell shipped 9.24 million units, down 6.3 percent, while Acer shipped 4.84 million units, down 7 percent.